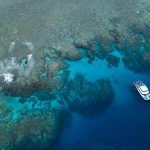 If you’re ready to see the Great Barrier Reef in the best way possible, book a liveaboard tour to spend as much time as possible finding adventure in the largest reef system in the world. 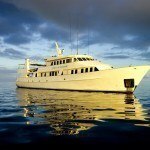 With Cairns dive tours, you’ll board a luxury vessel to make the most of your time in Cairns with multiple dives and numerous locations. 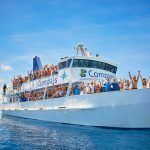 Cairns liveaboard scuba dive trips take you to the most famous diving sites, as well as the outer reef and isolated locations for the best scuba diving. Cairns liveaboard scuba diving trips maximize your diving time as you won’t need to head back to the shore to sleep or eat. 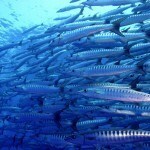 You’ll benefit from many diving sites, even at night. You’ll sleep and eat right on the reef in between dives into the pristine water conditions. With a variety of tours available, you can spend 2 days to a week or more exploring the colourful coral gardens and vibrant marine life. 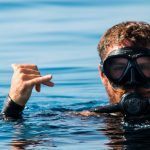 A well known general rule of thumb is the fact the further away from the shore you go, the better your diving experience will be. Why? Because the further out you visit, the more marine life you’ll find that hasn’t been touched by man. 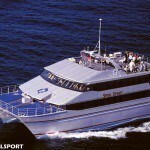 Cairns liveaboard dive trips will take you to popular dive locations, including Ribbon Reefs and Cod Hole. You’ll swim with giant potato cod, sea turtles, whales and hundreds of fish, while exploring vast hard and soft coral gardens. 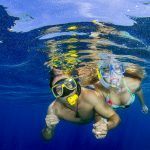 For the best Cairns liveaboard scuba diving, you’ll want to head to the Coral Sea; however, it’s best to be an experience scuba diver at these dive locations. 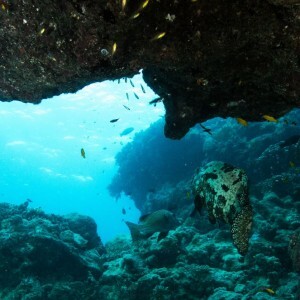 You’ll find amazing wall dives, caves, swim throughs and large marine life galore when diving the Coral Sea. 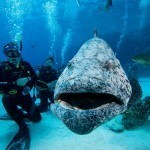 Visibility is ideal year round, so any time is a great time to dive the Coral Sea. When you need a break from diving, head on deck to chat with the friendly and professional crew of the liveaboard, while dining on excellent food in comfort. Even when you’re not in the water, you’ll still have an amazing time exploring the reef from the boat. Sunbathe while you watch hundreds of bird species sore above in the sky and watch the active marine life just below the water’s surface. Cairns liveaboard dive trips are the best way to make the most of your time exploring the Great Barrier Reef. Enjoy the benefits of Cairns liveaboard scuba diving today!